YHA Youlgreave is a gem and I was delighted to find it. 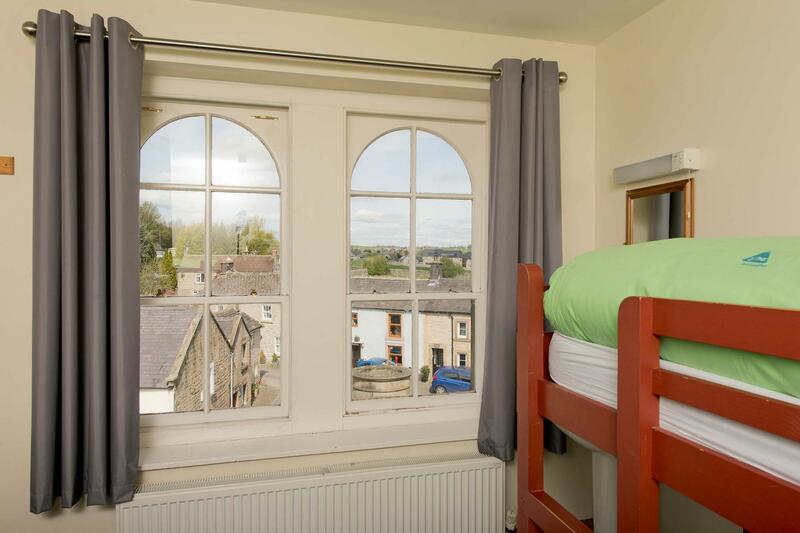 When would you like to stay at YHA Youlgreave? Lovely, quiet accommodation within the Peak District National Park, YHA Youlgreave is perfectly positioned for enjoying the destinations and activities the Peaks are famous for. 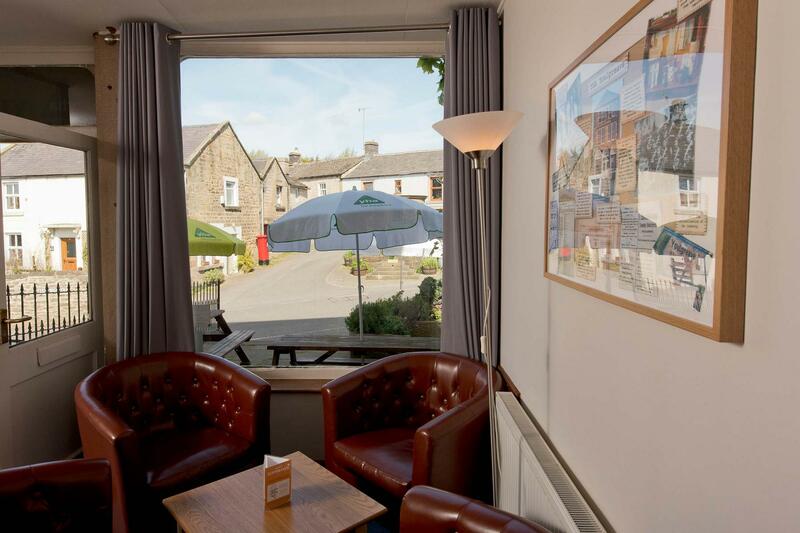 Come in the summer months and enjoy our sun-drenched front terrace, where you can sit back and watch village life unfold. The hostel is in fact the former village Co-op, and still retains features pertaining to its past life. It’s set within lovely White Peak walking territory, with the Limestone Way passing through the village, and both the Tissington and Monsal Trails nearby. All rooms contain bunk beds. There are no en-suite rooms at this property, but plenty of individual toilets and showers close to bedrooms. You can relax outside on sunny days in our small front yard with three picnic tables. Check in is from 5pm . Access to hostel after 10pm is by door code. Checked-in guests staying over two nights can get a key to access hostel during the day – although there are a limited availability of keys. As you enter the hostel through the main door you will arrive in our open plan living and dining space which was the original shop area. Join our nightly Supper Club, share stories and experiences with your fellow travellers while tucking into a big pot of something delicious – this is the authentic hostel experience! Don’t forget, kids under 10 eat free – get one kid’s meal free with every adult’s meal. A circular route taking in stunning Lathkill Dale can be tailored to your walking level. Travel to Carsington Water for their gently undulating eight mile off-road trail around the reservoir, or take on one of the 'Dark Peak' routes for a full day of challenging mountain biking. The nearby Tissington Trail winds its way gently through beautiful White Peak countryside. Take the opportunity to visit historic Tissington village with its stately home, duck-pond and tearooms. The River Derwent at Matlock hosts a grade 2 rapids course, with 35 permanent slalom gates in place and floodlights for darker evenings. Contact Matlock Canoe Club for details. This award is designed to celebrate the special qualities of the Peak District National Park and recognise the involvement of visitors and residents. This remarkable medieval house is surrounded by Elizabethan gardens and set in the rolling countryside of the Peak District. Try horse riding, pony trekking or Trail riding through stunning Peak District scenery. Parking: There is just one parking space at the front of the hostel for guest use. A car park is available at the west end of the village next to the allotments, a 5 minute walk from the hostel. Please do not park in walkways, driveways or around the well in the centre of the village. Make YHA Youlgreave your home for a few days by booking the whole place to yourself! Visit our YHA Exclusive Hire website for more details. The building was purpose built as a Co-Op in 1887. The Youlgrave Co-Op catered to much of the local population’s needs, even supplying the village with electricity until 1910. However, the Co-Op finally closed its doors in 1968. By 1975 the building was once again open to the public but this time as a Youth Hostel, making use of the improved transport links to welcome visitors from all over the country and opening up the picturesque village in its beautiful setting to a much wider audience. Youlgrave village is set in the picturesque White Peak area of the Peak District, so-named because of the limestone which makes up much of its geology. The local area has a rich history of agriculture and mining. Evidence of both can be found in nearby Lathkill Dale, a beautiful valley which is home to ruins of old mine buildings. The towns of Bakewell and Matlock Bath are located nearby offering a wealth of sightseeing, shopping and attractions.